Hi all, I'm new here - but I've been reading up on how to create repros. I understand that you can use an 29f032 to make larger games, but what if I want to use a 16Megabit TSOP (16 Mbit (2Mbx8)) to make an 8 megabit game? I acquired 10 29f016b chips and I'd like to use them for that purpose. 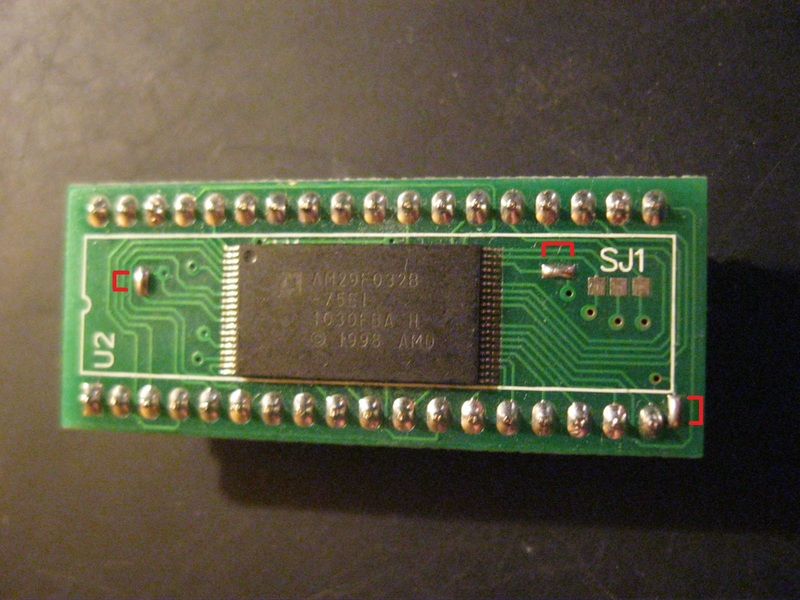 In addition, from what I can tell - the 8 Mb cartridge boards MASKROM only has 32 pins whereas a larger game MASKROM has 36 pins. The DIP36-TSOP40 adapters I have (adapter III) have more pins (4) than these 8 megabit boards have. 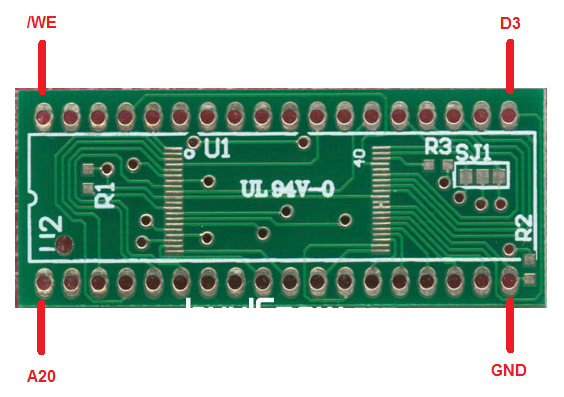 Is there any documentation or advice anyone could offer on what I'd need to do to use the 36-pin TSOP board on a 32-pin board? Either duplicate the 1MiB of data (e.g. 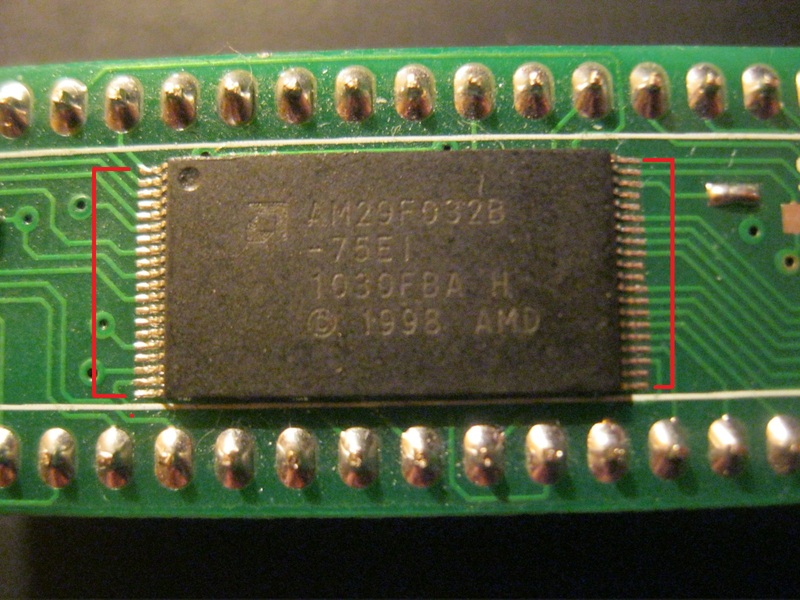 copy /b 1MB.BIN+1MB.BIN 2MB.BIN), or tie the EEPROM's A20 line to Vcc or Gnd. 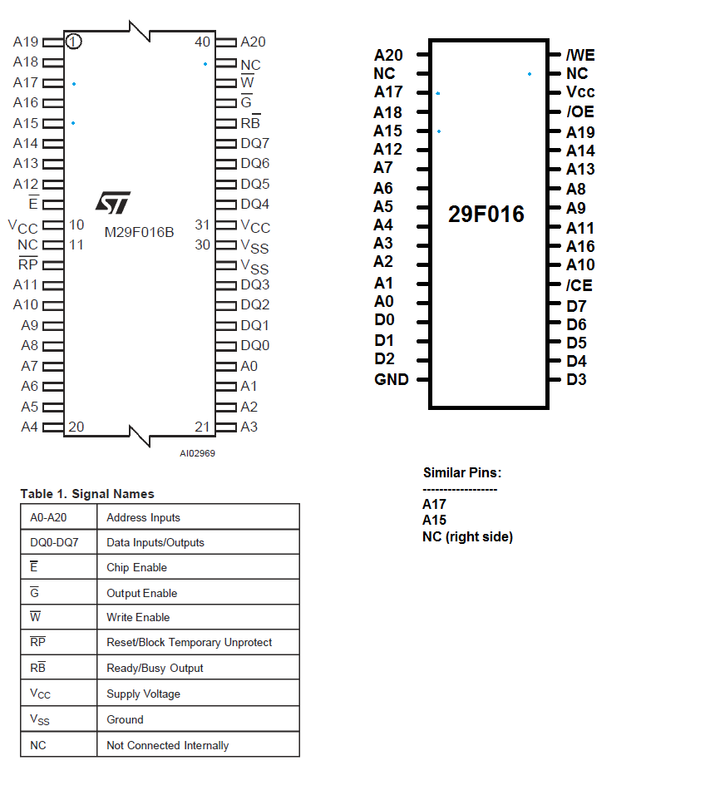 Look up the datasheets for the parts. 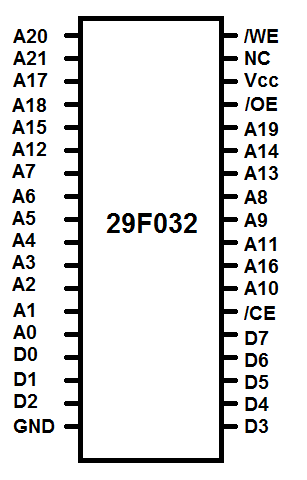 In general, all inputs need to be connected to something, either an address line or power or ground. Thank you both for your detailed responses. Here's the data sheet on these particular chips. 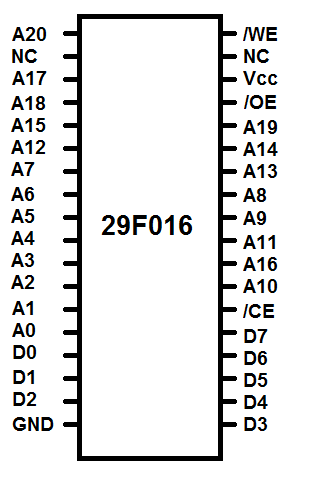 The pinout looks different from the one for the other 29F016. How do you figure? I compared it and I only see 3 similar pinouts between the two. Am I looking at it wrong? Oh ok, I get you now. 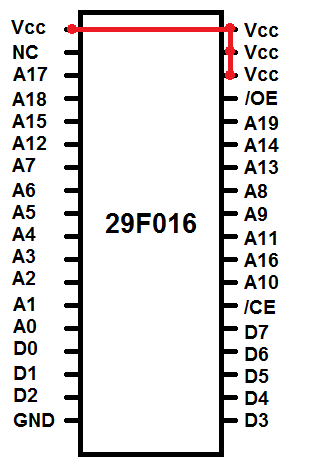 Sorry about that - I was confused by the pinout. Is this correct according to your layout?